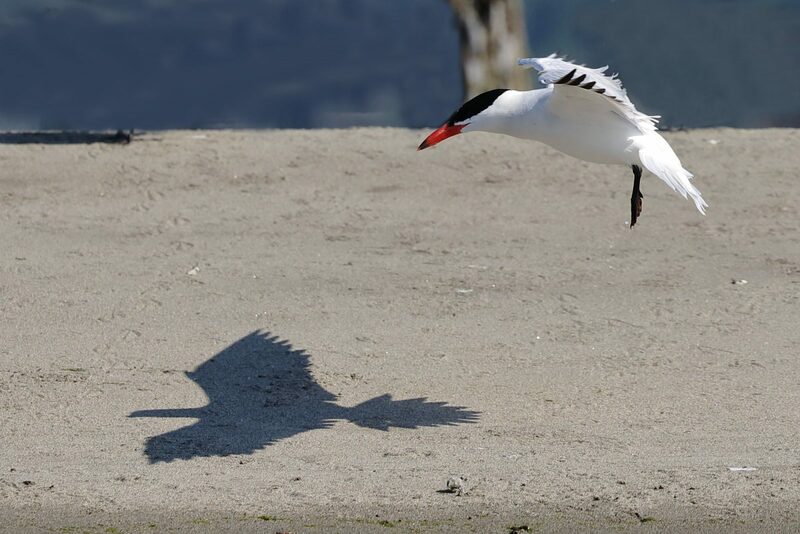 Caspian Terns are very social birds. A large flock was resting on this beach, but would take off on occasion to feed. This bird was just returning from a fishing expedition.